Select Size 4.2 Oz. 10.3 Oz. This photo mount adhesive can bond to various mounting surfaces including cardstock board, Plexiglas, glass, plastic, clean metal, and even foam core with smooth surface. For additional versatility, it comes in two sizes to accommodate a wide variety of mounting applications. 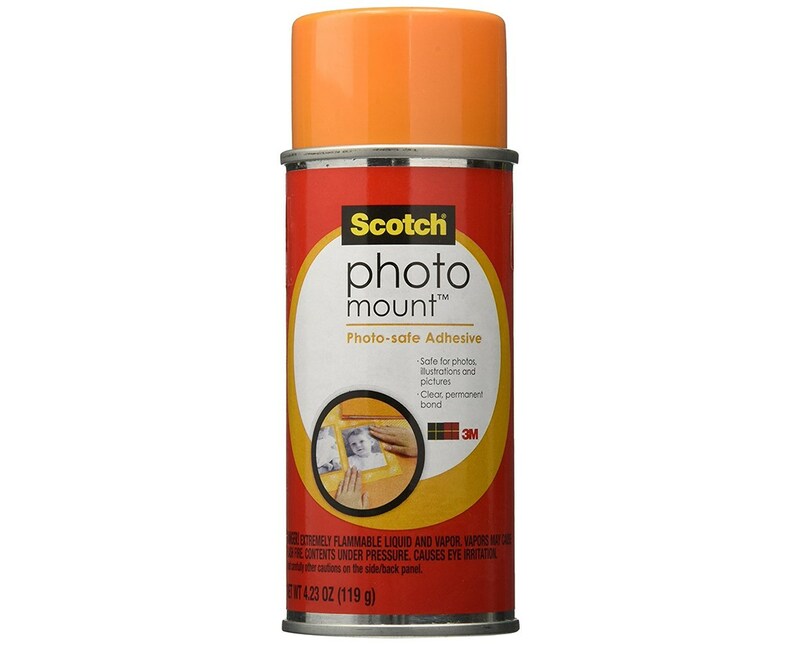 The Scotch Photo Mount Spray Adhesive is photo safe in accordance with ISO Standard 18916. It also ensures the safety of its users by conforming to ASTM D-4236 standards. To achieve maximum efficiency, it is not recommended for outdoor use. 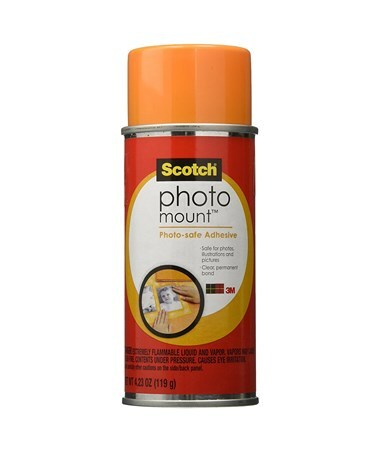 The Scotch Photo Mount Spray Adhesive comes in two different sizes. Please select your preference from the drop-down menu above. Product Weight (lbs) 4.2 Oz. / 10.3 Oz. Size: 4.2 Oz. or 10.3 Oz.